With convenient locations in Los Alamos, Santa Fe, and Taos, we are your local orthodontic solution for the entire family. Vest Orthodontics can help you begin your journey to a straight, beautiful smile. There’s no underestimating the impact of a beautiful, healthy smile. Properly aligned teeth can improve your overall oral health, boost your confidence and self-image, and have positive effects on aspects of your life. At Vest Orthodontics, you will be treated by a board-certified orthodontist and a team that is committed to treating patients with the utmost respect and providing the best affordable care possible for you and your family. Get the best and healthiest smile you can have by relying on the extensive education and expertise of a trained orthodontist. We cater to the individual and offer many different forms of orthodontic treatment, so your treatment plan is as individual as you are! We offer a mixture of early, interceptive & comprehensive treatment options, with regular braces, clear braces, lingual braces and Invisalign clear aligners, fitting your specific orthodontic needs to your lifestyle. Orthodontics can be tailored for nearly any age. Dr. Vest, Dr. Greenburg, Dr. Spalding, and Dr. Day provides the best treatment path with a perfect finished smile. Contact us today for an appointment. Invisalign brings stealth straightening to you with thin, invisible trays. Dr. Vest's, Dr. Greenburg's, Dr. Spalding's, and Dr. Day's experience puts a stunning smile within easy reach. Traditional metal & clear braces can solve nearly every tooth alignment issue. Dr. Vest's, Dr. Greenburg's, Dr. Spalding's, and Dr. Day's orthodontic experience puts a gorgeous smile within reach. The goal of orthodontic treatment is to achieve an esthetic and functional bite. A good bite makes it easier for you to bite, chew and speak, not to mention the esthetic advantage of having well-aligned teeth. 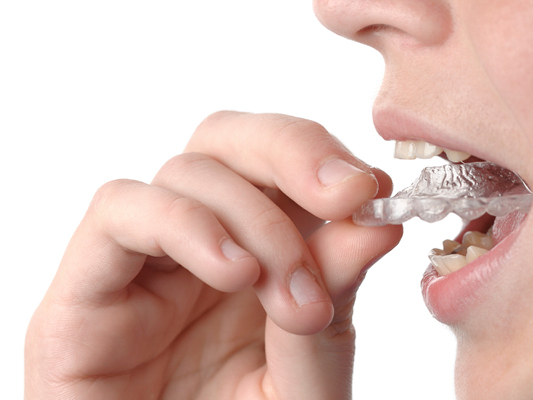 Comfortable and efficient, today’s orthodontic appliances also contribute to a stable, long lasting result. Orthodontic treatment is a smart investment in your dental, physical and emotional health. Please contact us to schedule your complimentary consultation.